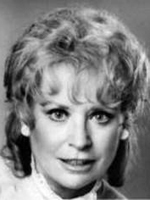 Lois Nettleton appeared in The Twilight Zone, Route 66, The Virginian, The Eleventh Hour, Night Gallery, The Fugitive, The Mary Tyler Moore Show, Kung Fu, Centennial, Cagney & Lacey, Seinfeld, Baywatch Nights, Murder, She Wrote, and Babylon 5. I remember her from many of the shows listed above. However, she wasn't delivered and buried on the same day - her actual death was January 18, 2008. Lois' speech inflections are incredibly charismatic, yet very authentic. She has absolute command of the characters she portrays. I didn't mention her in the past tense, because someone with that much life in them could never fade away.